The US Government has revealed that Hewlett Packard who has several Australian Government contracts has agreed to pay $108 million to resolve an investigation into corrupt payments to government and commercial enterprise officials who HP bribed in an effort to win contracts. The Securities and Exchange Commission charged HP with violations of the Foreign Corrupt Practices Act, claiming the company had made improper payments in Russia, Poland and Mexico. The SEC said that HP executives paid bribes in Poland worth more than $600,000 between 2006 and 2010, the money was paid to a Polish government official to secure contracts with the national police agency. The corrupt official received a cut of the revenue generated by the contracts, the agency said. 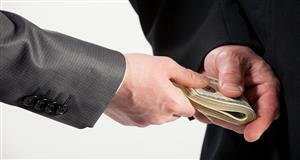 Separately, a Polish anticorruption agency has charged dozens of executives and officials with graft and corruption. In 2010, German and Russian authorities investigated whether HP had paid millions of dollars to win a contract in Russia. What was discovered was that $2 million in bribes had been paid out to a Russian official resulting in HP securing a multi million dollar contract with the federal prosecutor’s office. They also paid $1 million in payments in Mexico in an effort to secure a software sale to the country’s state-owned petroleum company. Earlier this month, Pakistani officials said they arrested two executives at a local arm of HP on suspicion of corporate tax evasion. Mike Lynch, the embattled founder of Autonomy, the British software company acquired by Hewlett-Packard, has accused Hewlett Packard management of being selective with the truth and selectively leaking documents. In November 2012, HP wiped $8.8bn off the $11.7bn it paid for Autonomy, alleging “serious accounting improprieties”. In a public intervention hours before HP’s annual shareholder meeting last month, Mr Lynch said HP management “has selectively leaked documents and information to the international media, frequently using material taken out of context to create false impressions and smear our reputations”. In Australia the Federal Court slapped Hewlett-Packard with the $3 million fine after a lengthy investigation by the Australian Competition & Consumer Commission. They concluded that HP management engaged in a “widespread and systemic” process that resulted in hundreds of consumers being misled by the Australian subsidiary. ACCC chairman Rod Sims said at the time that it was an important case. “The misconduct was widespread and systemic from a very large multinational firm.” Rather than face court, where evidence would have been presented in an open court, HP Australia chose to negotiate a settlement. The court found that HP gave clients misleading advice on their consumer guarantee rights. It is not known whether investigations have taken place or are taking place into any bribery payments in Australia. Hewlett Packard who reported a massive loss recently has several Federal State and large enterprise contracts in Australia similar to what they have in Russia, Poland and Mexico where US officials claim they did bribe officials. In a bleating statement to the media John Schultz, HP’s general counsel, said that “The misconduct described in the settlement was limited to a small number of people who are no longer employed by the company”. It is still not known whether the executives working in the Australian subsidiary and were responsible for misleading Australian consumers over their warranty rights are still working for the Australian subsidary. The US Companies Australian subsidiary is currently being propped up by their parent Company after they reported a A$270 million loss for the 12 months to October 31 2013, they have also reported a 10 percent decline in product sales this year.